In 2015, American drones were used to tail Junaid Hussain, a 21-year-old hacker and recruiter for the Islamic State. He kept his young son nearby in order to evade drone attacks; until he went to an internet cafe, and was killed by a Hellfire missile. From Birmingham, England, Hussain was the leader of a group of English-speaking computer specialists using their skills and knowledge to represent the Islamic State, invoking its wrath using followers in the West. This is only the latest of several take-downs carried out against "the Legion," a cell focused on spreading radicalism beyond its physical means. Legion propaganda is linked to a spat of counter-terrorist movements in the United States in 2015. In March 2015, Hussain released more than 1,300 American military and government employees' personal information with the message that followers should "Kill them in their own lands, behead them in their own homes, stab them to death as they walk their streets thinking they are safe." Here, he acted as a hacker. Otherwise, Hussain acted as an online recruiter, forming malleable soldiers in West. Court records show that Hussain was in contact with at least four men in different states. His contact consisted of asking them to stage attacks or act as a mouthpiece for the Islamic State's message. The New York Times cites Hussain as the force behind an attempted attack on Pamela Geller, author for a conservative blog. His puppet, Usaamah Abdullah Rahim, was instructed to kill Geller; however, once it came time, Rahim chose to kill a police office in her place. Fortunately, Rahim was under scrutiny by the bureau. He was shot and killed after approaching an F.B.I. surveillance team with a knife. Two of his associates were arrested for involvement with the attempted murder. 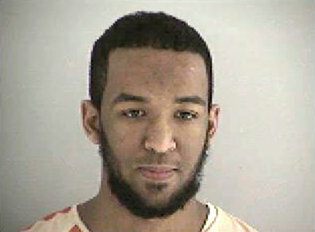 In an unrelated attempt, Hussain urged Ohio college student Munir Abdulkader to kidnap a member of the military. Their intent: to record a killing on video. The F.B.I. threw a wrench into their plans. Once that plan fell through, Hussain told Abdulkader to bomb a Cincinnati police station. However, that plan too was laid to rest, and Abdulkader was arrested. He pleaded guilty to material support for terrorism and was given a 20-year sentence. These are only a couple examples of Hussain's vast reach. American forces, in allegiance with others, have worked towards bringing down major players in the Legion cell. Their campaign was kept largely quiet, but is responsible for taking out about a dozen key members. Despite their latest mini-victory, American forces ascertain that the Islamic State's social media reach is well-developed and strong; even with the loss of a few extremities, attacks are still a risk. It is suspected that the group has contingency cells in Europe. Initially, the Legion was identified as a threat by law enforcement officials. As flare-up terrorism acts blazed across the United States in places like San Bernadino, CA and Orlando, FL, militaristic interference loomed, but only after the situtaion in America worsened did the bureau demand military attention. From there, it was only a matter of putting together allied forces and organising a pointed plan of attack. 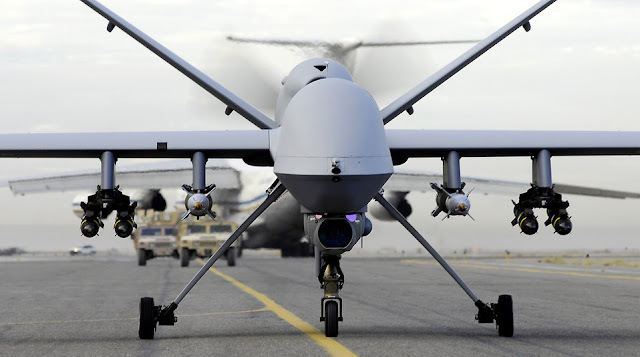 American and British forces slowly but surely removed members via drones, mounting a transnational attack; on the home front, the F.B.I. dug through the Legion's social media followers to root out those who acted for the Islamic State. Harvesting the fruits of their labour, nearly 100 people have been apprehended for terrorist involvement. According to the New York Times, some of the arrested people were in direct contact with the Legion. A large number of arrests were made on persons who were already of interest to the F.B.I., according to Andrew McCabe, deputy director. A senior American law enforcement official described the continued terrorism activities as a "nightmare" for the F.B.I. The workload increase was so drastic that criminal officers were moved to surveillance squads, says F.B.I. director James B. Comey. Following the military's success, the Legion has been left with a gaping hole. Lacking a hacker with Hussain's proficiency has crippled their transnational capabilities for the time being.